Larger than life - Fr Séamus the "people's priest"
The death of Fr Séamus Gallagher, PP, Frosses, has been learned of with great sadness across the county and further afield. A big man, he was larger than life. Those who knew him best said he was one of the most wonderful people you could meet, and a fantastic priest. He always seemed to be in good humour and had an easy way with him that endeared him to so many. From Dungloe, his second level studies took him to St Eunan's College, Letterkenny and third level to Maynooth. He was ordained to the priesthood in 1985. He served as a CC in Stranorlar, Gweedore, Tory Island, Leitirmacaward, Glencolmcille, Ardaghey and Doochary and, we understand, also served on the Missions for a number of years. He first served as a Parish Priest in Newtowncunningham and most recently, was PP in Frosses. A post on the Kincasslagh Parish Facebook page, stated: "Pray for the repose of the soul of Fr. Séamus Gallagher, PP, Frosses who passed away in his sleep on the 18.10.18. May he rest in peace." There were, at the time of writing, more than 250 comments attached to that faceboook post, all of them expressing sadness at the news of Fr Gallagher's death, many of them underlining the esteem and fondness in which he was held. Well known London-based photographer Brendan 'Tiny' Vaughan, also posting on facebook a short time ago, summed Fr Séamus up perfectly, when he described him as "the people's priest". Brendan posted a series of photographs of Fr Séamus and the Killian Band on their visit to London in 2016. Fr Cathal OFearraí, PP Kilbarron, Ballyshannon, told us that Séamus was a native of Dungloe, their home was on Main Street. His mother was Susie (née Meehan) from Frosses originally and his father was John Huaidi Dan Gallagher. The family were reared on Main Street, where the family had a shop and when they sold the business, they moved to Tuberkeen. He said Fr Séamus was a "tremendous priest and a great character" who will be sadly missed by his parishoners, his brother priests and so many across Donegal and further afield. 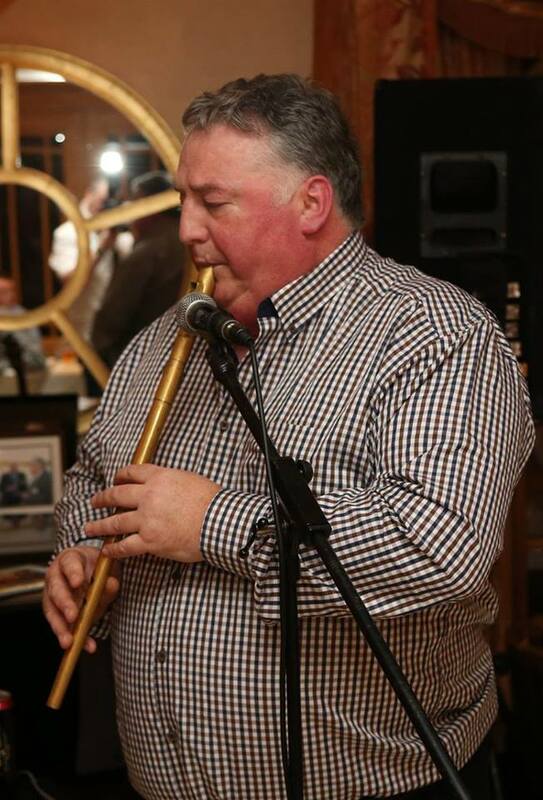 He pointed out that Séamus was a brilliant musician, a talented tin whistle and flute player and a man who loved Irish traditional music. David Alcorn of Burtonport said he was "hugely popular with everyone" adding "he was a fantastic priest, a fantastic human being, so many people are so upset at the news of his passing, he was a very special person".